When it comes to finding ways to add visual interest to your event’s tablescapes, an easy and chic way to do so is to use a patterned table linen. 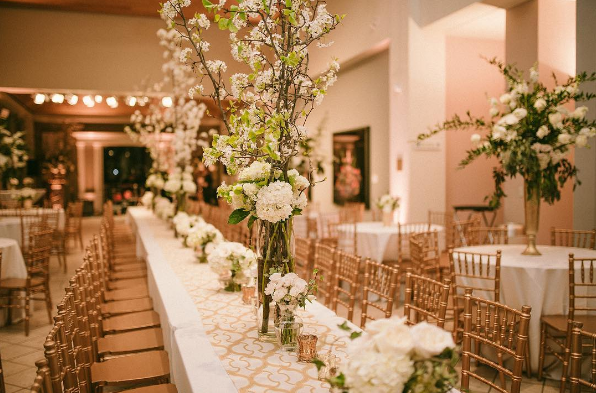 We love looking through Instagram to see the beautiful ways that event planners design venue spaces. 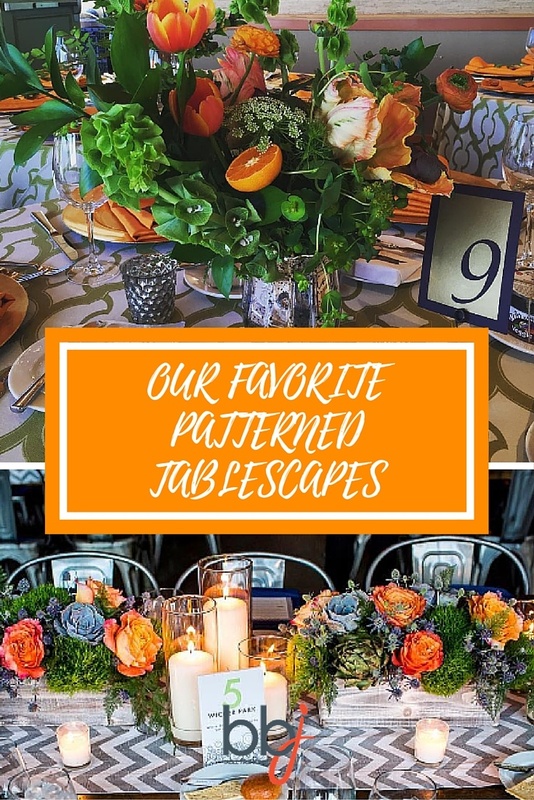 This month, we’re putting our focus on the wonderful ways that patterned linen can dress up an event. Green and orange are absolutely stunning complements in this look. 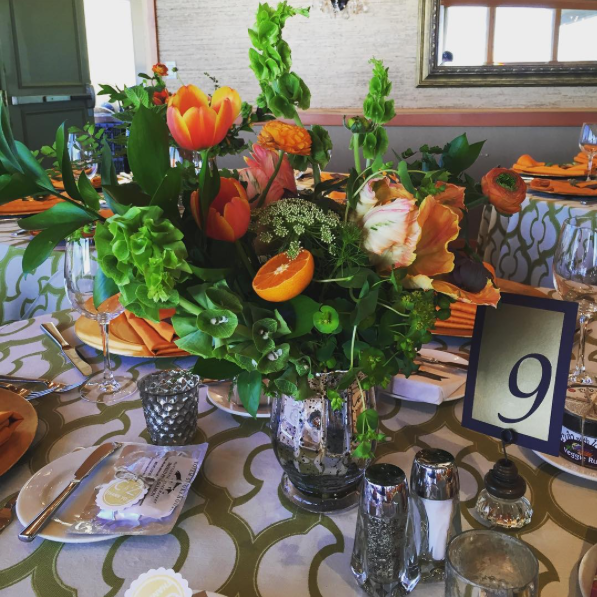 These patterned tablescapes provide a beautiful background for bouquets that feature unexpected yet delightful details, like orange wedges. What a fresh way to incorporate bright colors into a table design! For this look, use the bright and interesting patterned linen like Leaf Miramar table linen on the tables and accent the look with coordinating napkin like Saffron Shantung napkins. Black and white are classic colors for creating a dramatic look, and this buffet design is no different. 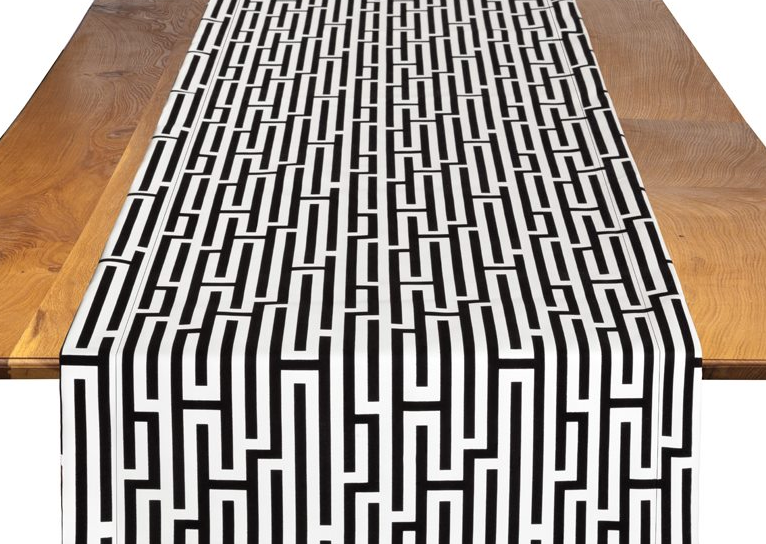 The bold pattern of the table runner is incorporated into the food display’s design to create cohesive look. 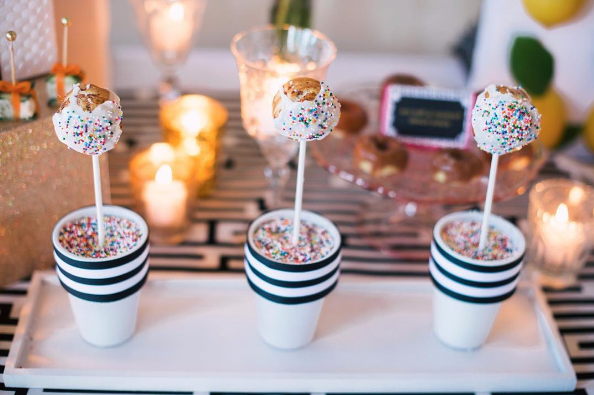 The colorful sweets distinctively stand out against modern patterns and love how the sprinkles add pops of playfulness. This look is dramatic yet easy to recreate. Just use the White Gemini table runner, and top it with all of the sugary confections your mind can dream up! Soft lighting and nature-inspired centerpieces make this venue look like something out of a storybook. 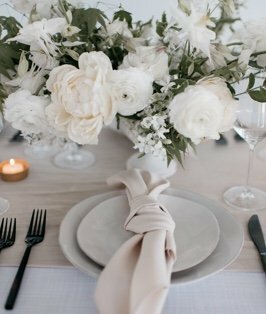 Crisp white linen offers a classic look, and they’re topped with gold patterned table runners It’s a perfect look for a wedding, fundraiser, bridal shower, or any other event. What a breath of fresh air! Put this look together fast for your event. Pair White Shantung napkins with Gold Miramar table runners for an unforgettable look. If you like the idea of patterned linen but want something a bit more subtle, patterned table runners are perfect. With this look, the table is left bare to show off the rich grain of the wood farm table, and a modern looking chevron table runner sets off the rest of the tablescape. 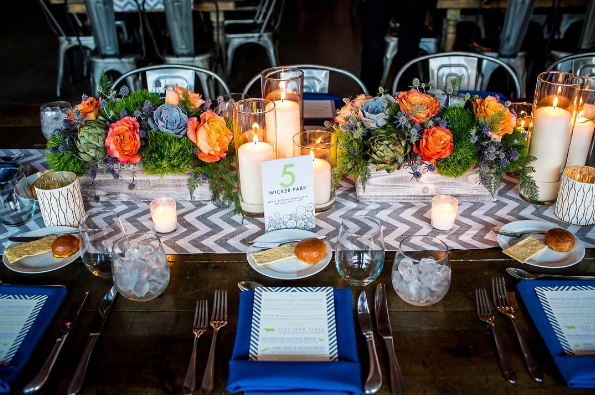 Each place setting features royal blue napkins and chevron-printed menu cards. Planter boxes with beautiful begonias and succulents complement the whole look. It’s the perfect summer table. To get this look for your event, pair the Pewter Chevron table runner with beautiful Sapphire Lamour napkins.